With most of the major stock indices making new highs in recent weeks, it’s tough to argue against the bullish case for equities, particularly if you’re a long-term investor. So, I’m not going to do that here… well maybe just a little. 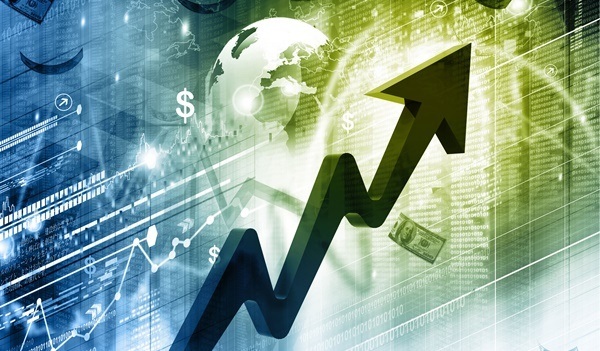 For the short-term income trader (those that trade for money they can spend today) the stock index futures market provides ample opportunities both on the long and short side as the market never goes up in a linear fashion. Considering that, most of what this article has to do with is longer term time frames. In the many years I’ve being involved in market speculation, one theme that always seems to surface when the markets experience a protracted bull run —as has been the case for the equities market over the last 7 years— is the notion that this particular bull market is somehow different than all the others. The inference being that this particular bull market can keep going longer than all the previous ones. In other words, since “this time it’s different” there’s nothing to be worried about. I remember hearing these words in late 1999 in the midst of one the biggest stock market bubbles in history, and we all know how that movie ended. I’m not suggesting that we’re in a bubble today; however if you have been paying attention lately, many of the recent companies that have been issuing stock to the public (IPOs) have been lacking in profitability which is a hallmark of excessive speculative fervor. In addition, margin debt (money borrowed to purchase stock) according to the New York Stock Exchange is at record levels. These are just a few pieces of data that might be early indicators of trouble for the bull market. Just some food for thought. In 2007, at the height of the real estate bubble, I remember having a conversation with a friend of mine that just happened to be a Real Estate Broker. He told me that the real estate market in California could never go down. He then proceeded to list all the reasons why his thesis was foolproof. Of course, we know how that turned out as well. My point is, that this type of thinking can be dangerous as it blinds us from the objectivity that we must always maintain in order to anticipate the turning points in the market. The reality is that the markets throw off plenty of warning signs before they start falling in earnest. The problem is that most investors either ignore these warning signs or dismiss them altogether. Only after it’s too late will they tend to take action; that’s just human psychology at work. We must remember that our natural human tendencies always get us in trouble when it comes to trading. What this tells us is that we need to change the way we think in order to change our results. A part of that change in mindset is to be proactive instead of reactive when looking at financial markets. This sometimes involves going against the grain of mainstream thinking which can be hard for many folks. Believe me, it’s not easy being a contrarian, but it can be fun and, more importantly, profitable. So no, this bull market is not any different than all the others. When the turn comes, traders that buy high will lose and those that sell will avoid losing. Those that short in low-risk supply zones with a high profit margin will do well. Sadly, the majority will lament why they didn’t see it coming. We mustn’t forget that markets never change; it’s we as traders and investors that must change.